Today’s inspiration is in 3 movements: the scenic, the abstract, and the impressionistic. I love all 3 and, when out shooting my own pinhole camera, often get twisted up trying to decide which to do. The following are some fine examples, to help open your eyes for the weekend. Need more? Check out our galleries of prior inspiration! 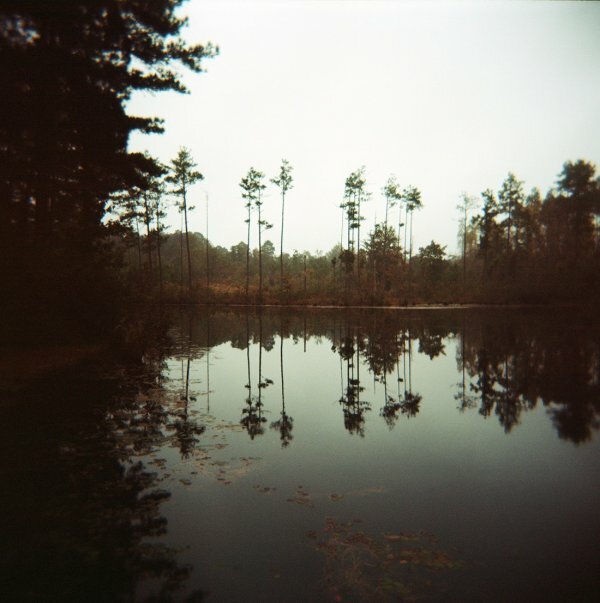 Sarah Taft made this soft scenic capture in North Carolina while visiting family in the Fall of last year. She made the capture with her Zero Image and Ektar 100 and the result is some very creamy colors. You can check out more of Sarah’s work on her website and on her Flickr page. 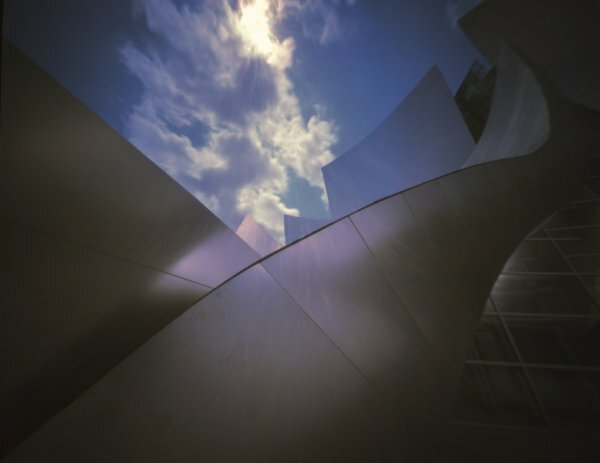 James Thorpe caught this abstract scene with his RealitySoSubtle 4×5 pinhole camera at the Walt Disney Concert Hall. Due to the harsh lighting in Los Angeles, James was challenged with finding a color film slow enough to get the time effects he desired. 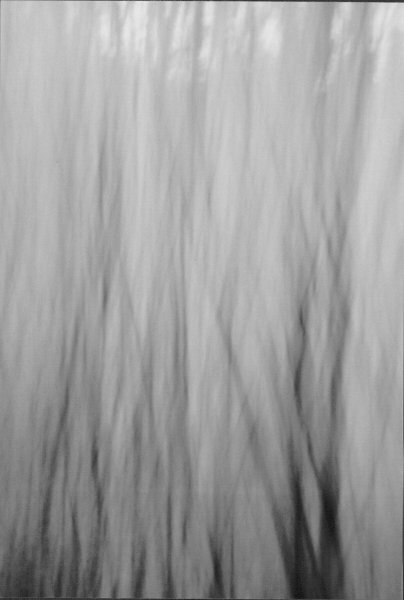 He made this capture with Fuji CDU II Duplicating stock – a film originally made for darkroom duplication work – which has an ISO of 4. James has examples on his Flickr page of other experimental films, such as Kodak Vericolor II from the 70’s, also with an ISO of 4. Michael Richter captured this impressionistic scene of a forest by vertically panning his “beast” of a homemade pinhole camera, named “Vivian”. Vivian has a focal length of 35mm and was loaded with XP2 for this photo. You can check out more of Michael’s work on his flickr page or on his blog (in German).